STUDENTS WITH A PASSION FOR JESUS AND HIS PURPOSES IN THE EARTH. 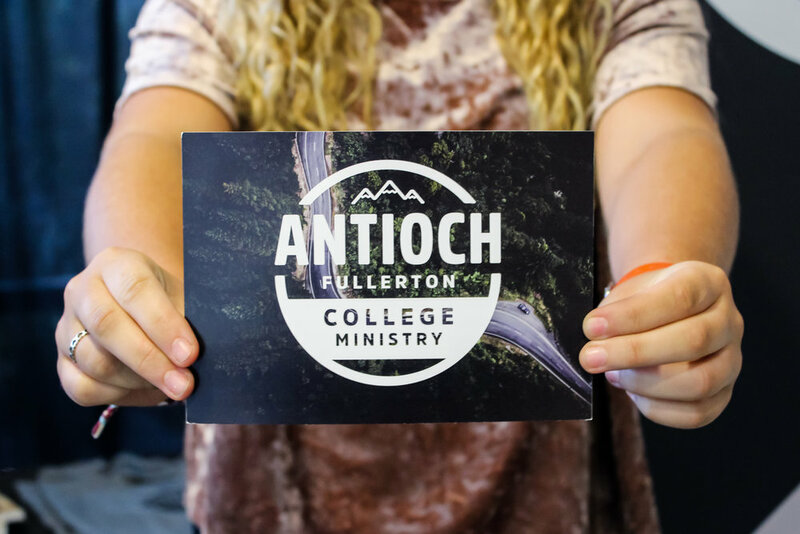 The goal of the Antioch College Ministry is to see students equipped and mobilized to advance the Kingdom of God in any and every location & vocation. Here at Antioch, we believe that community is an integral part of our lives with God. We do this through weekly Lifegroups. Join us every week for games, worship, and time spent engaging the Word of God. You aren’t made to figure out how to follow God on your own. We want to provide a place for you to ask questions, get accountability, and receive encouragement. We have local and global opportunities for you to get involved in. Whether it is in Fullerton, or across the world, we want to see you live life on mission. We believe college students can change the trajectory of the world. We want to work with you on creating a unique and personalized growth track that will strengthen your leadership giftings. You have what it takes.